Your business can deduct qualifying reimbursements, and they’re excluded from the employee’s taxable income. The deduction is subject to a 50% limit for meals. But, under the TCJA, entertainment expenses are no longer deductible. To be deductible and excludable, travel expenses must be legitimate business expenses and the reimbursements must comply with IRS rules. You can use either an accountable plan or the per diem method to ensure compliance. Payments must be for “ordinary and necessary” business expenses. Employees must substantiate these expenses — including amounts, times and places — ideally at least monthly. Employees must return any advances or allowances they can’t substantiate within a reasonable time, typically 120 days. The IRS will treat plans that fail to meet these conditions as nonaccountable, transforming all reimbursements into wages taxable to the employee, subject to income taxes (employee) and employment taxes (employer and employee). Be sure you don’t pay employees more than the appropriate per diem amount. The IRS imposes heavy penalties on businesses that routinely overpay per diems. What’s right for your business? 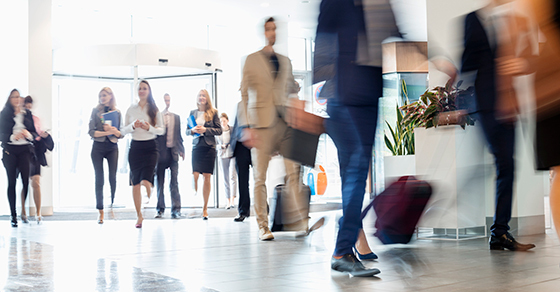 To learn more about business travel expense deductions and reimbursements post-TCJA, contact us. We can help you determine whether you should reimburse such expenses and which reimbursement option is better for you.